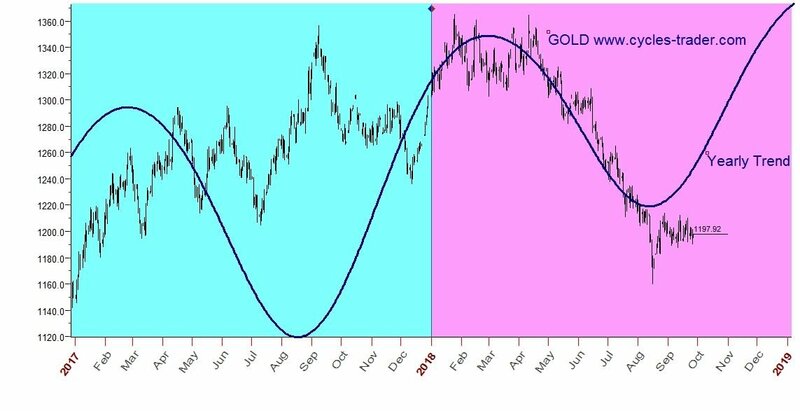 "When is the best week to enter or exist a stock in the year ahead". 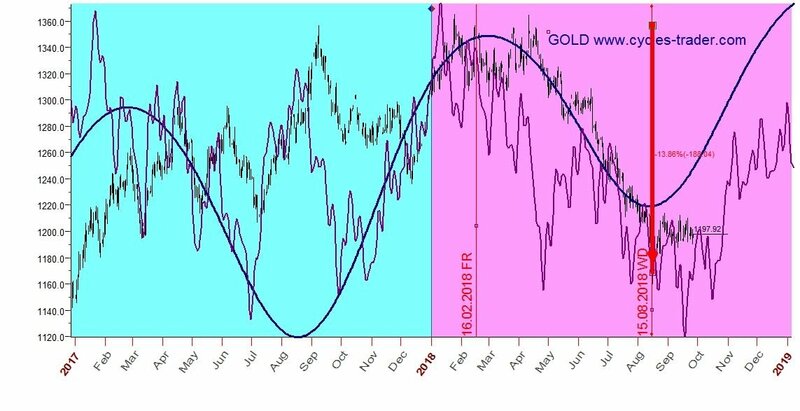 We want to check if the gold price will go up or down from here? Blue side (left) is the price history. 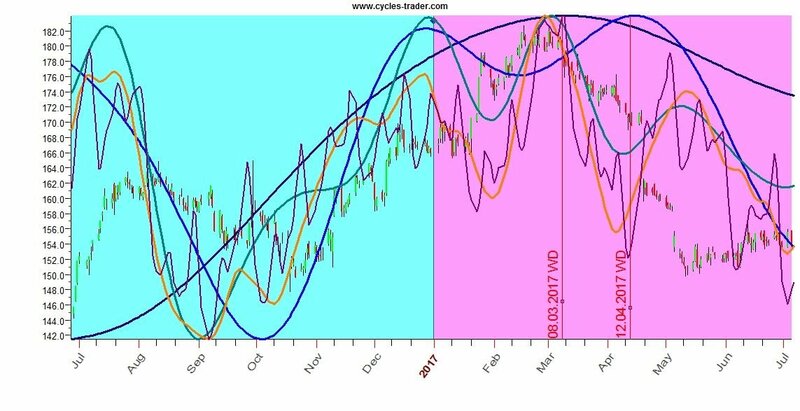 Pink side (right) is the future prediction. Black line or Green/Red candlesticks is the price. Optional Vertical red lines: Major Dates, added manually. Optional Yellow circles indicate probable local inversion of 180 degrees, added manually. Please note that the model does not provide exact price level indications, only timing. 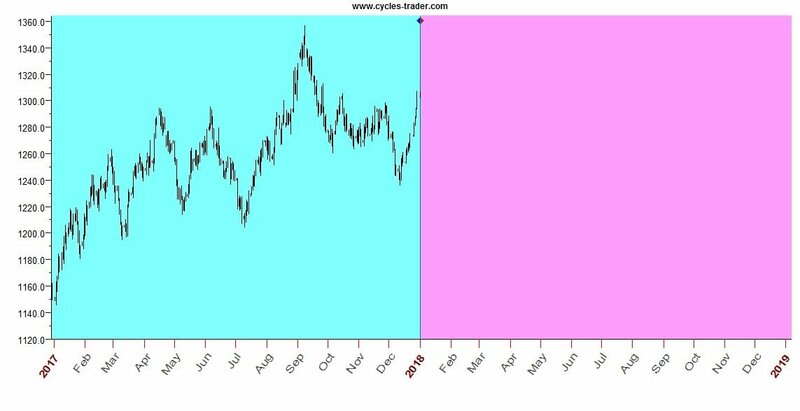 In the following picture we added the real price for 9 months after it happened, without changing the forecast. 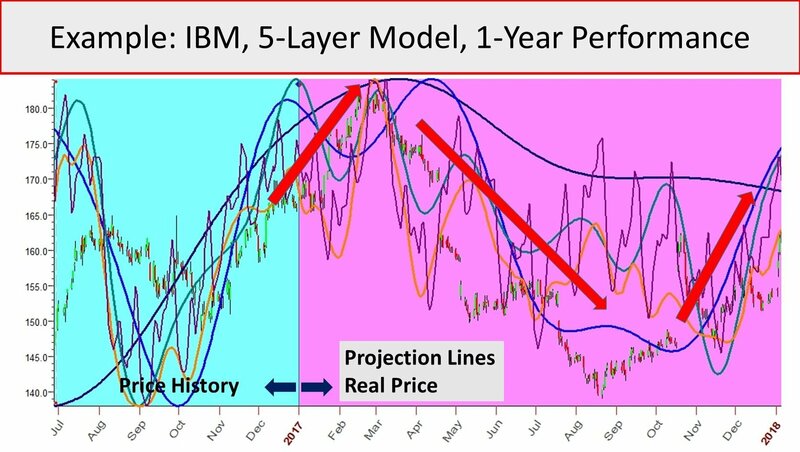 This technique is used to verify that the forecast correlates with the real price, assuring that this is an effective forecasting method. 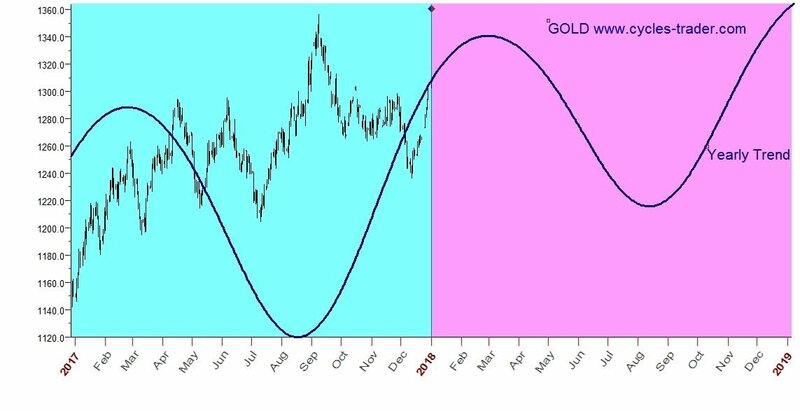 This example shows the very good correlation between the forecast and the real GOLD price. Price moves exactly as was forecated: top on March 2018 and bottom on August 2018. The 5th layer has a finer timing granularity and hence a more volatile behavior (choppy). The following picture shows GOLD forecast with an additional 5th layer of the model. 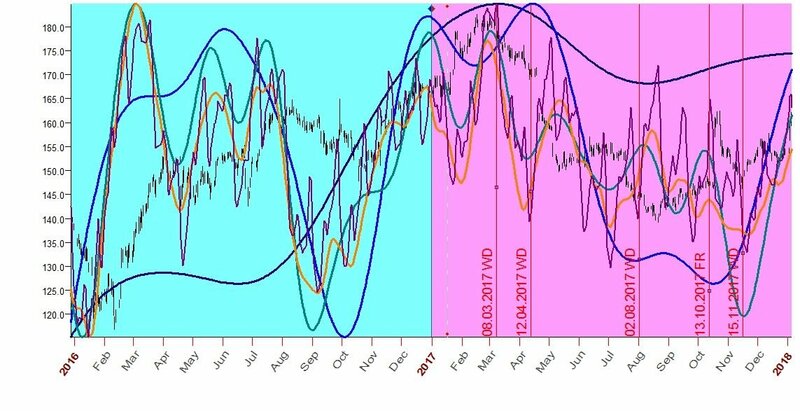 We can see the finer granularity of timing on weekly basis, sometimes almost to the date. With this granularity, we can now decide to enter the market in two different dates: early on Mid-February 2018 or wait for additional confirmations and enter at End-March 2018. The combination of a coarse but smoothed line (1st layer) and fine but volatile line (5th layer) projection lines provide a great tool to both visualizing the general trend and assisting with selection of the best timing for market entry-and-exit points. The two vertical date-points lines on the graph (marked in red) mark times when both trend lines, the Yearly and the Daily, change direction. 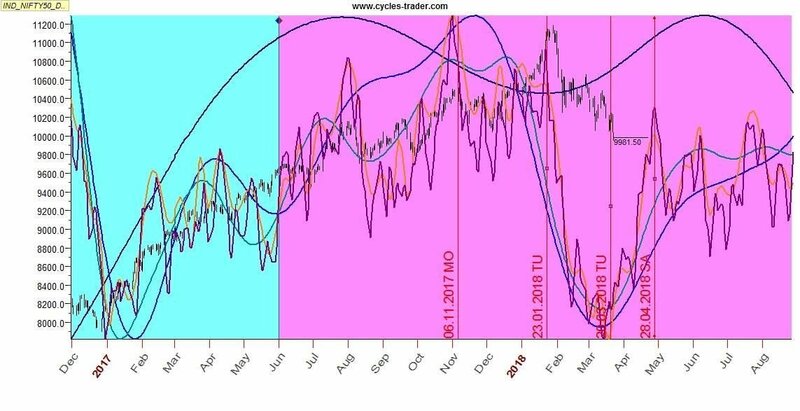 These points indicate high probablity dates of major change of direction, which we can forecast months ahead. How can we benefit using the forecast? 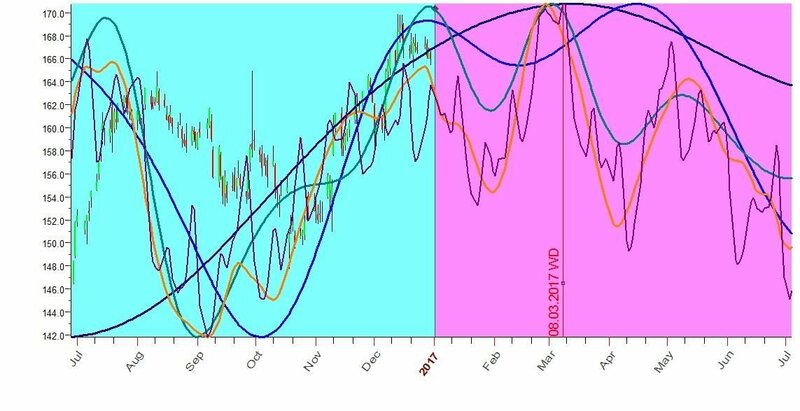 Loss Protection - by understanding that the up-trend that was valid till Jan-2018 is going to change soon, we can protect the investment from potential loses by taking action. Why are there 5 layers in the model? 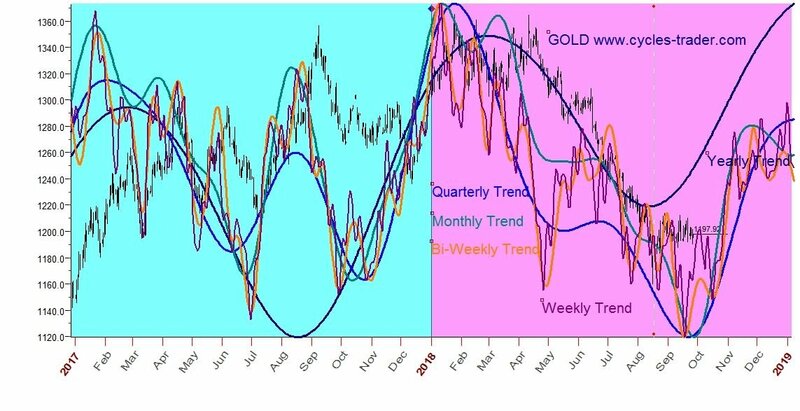 These additional trend lines provide additional opportunities for market entry-and-exit dates when a combination of lines change direction. The following picture shows all layers of the 5-layer model on GOLD. 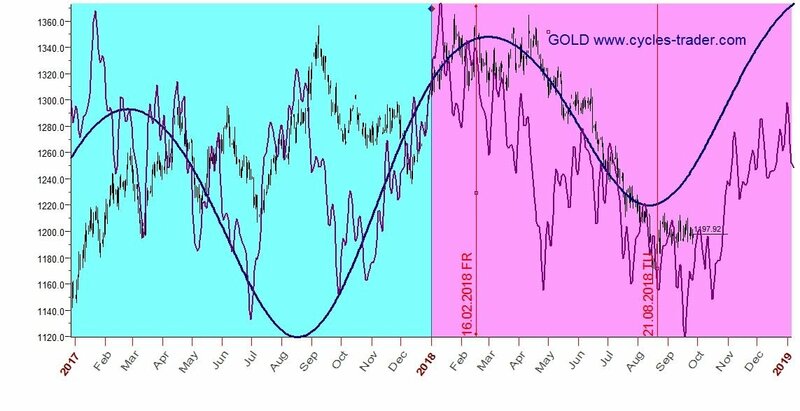 We can see that the 2nd and 3rd layer point to a probable sideway move between May to June 2018. 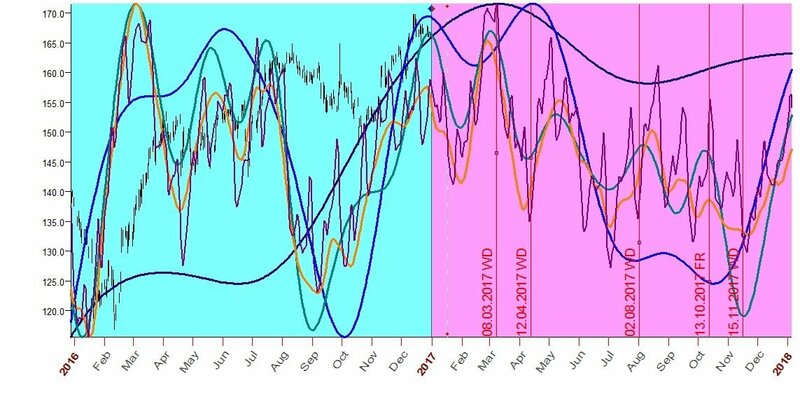 The forecast shows an up trend till March-8 2017 and then a down trend until July 2017. 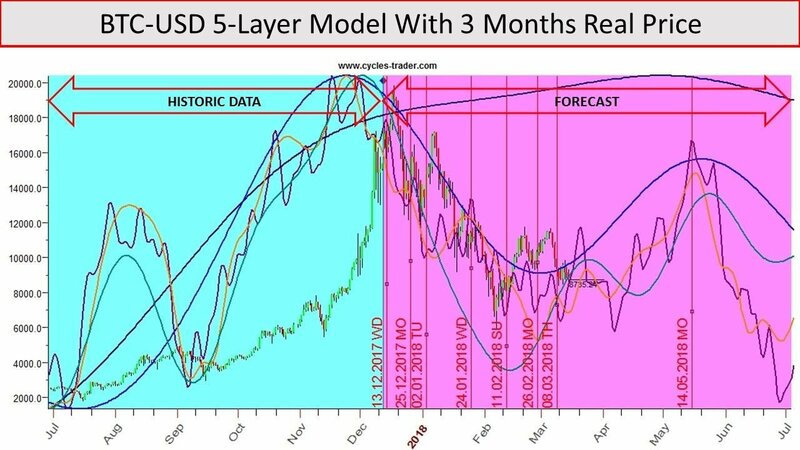 As we can see from the examples above, that the 5-Layer model provides mutiple opportunities for high probability trend changes and is a great decision-assisting tool for market timing. Following are a few example for a report sent to customers that purchased the forecast. 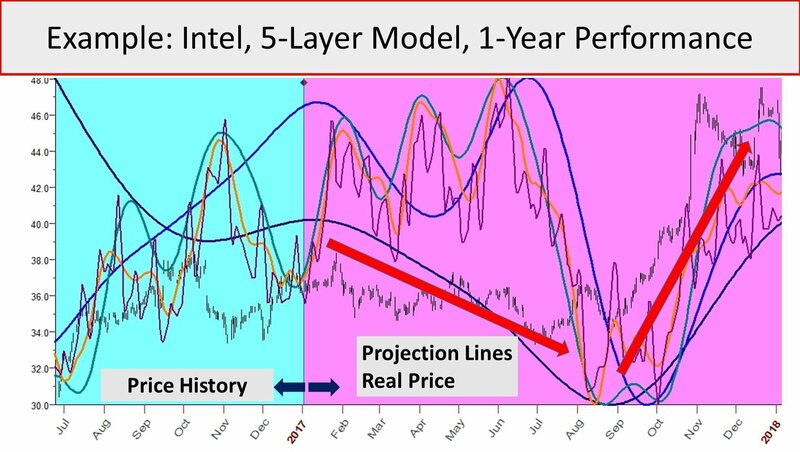 The 5-Layer model uses artificial intelligence and neural-networks mathematics to find the correlation of the effects of thousands of astronomy (planets movement) events in the past on the price movements and creates a projection line that can be prolonged to the future. 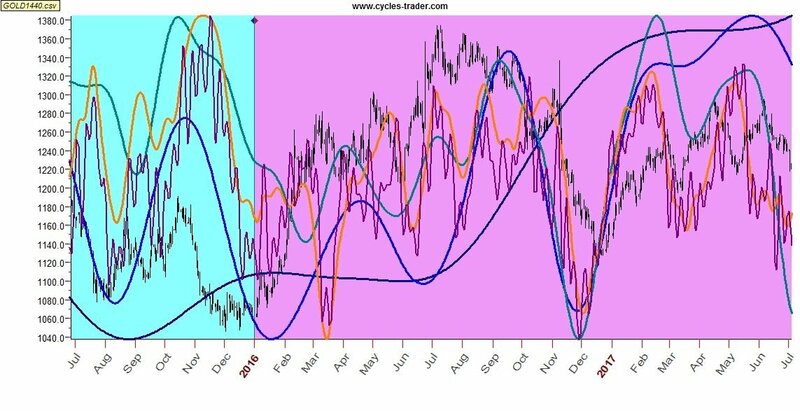 The 5-Layer model is agnostic to the price instrument and supports forex, commodities, stocks and indexes. 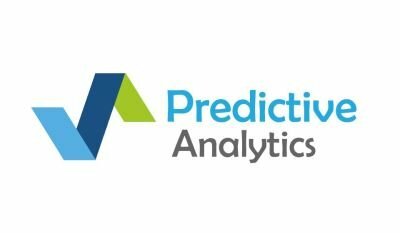 The most effective way to experience projection lines accuracy is by comparing the results with the forecast visually. 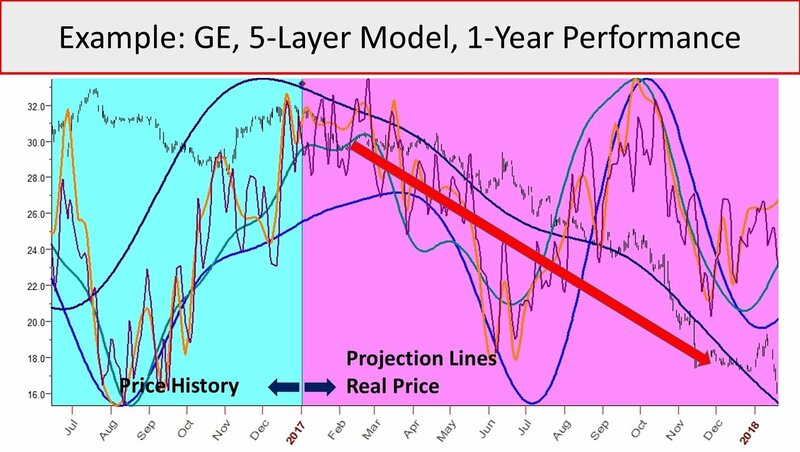 Projection lines forecast accuracy depends on the specific price instrument. We do not garantee 100% accuracy. 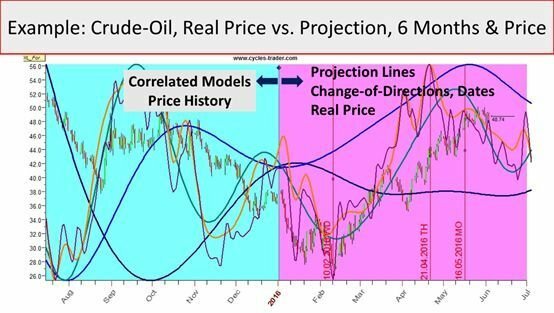 However, in general, there is a very high correlation between the projection lines created by the 5-Layer model and the actual price movements. Past years visual performance of the 5-Layer model are presented within the example for most cases and can easily be generated on demand for others. You can check the Bitcoin (BTC-USD) results for 7 months here.